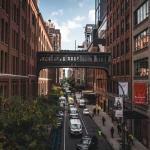 Tribeca is still relatively unknown to New York City tourists and is not on everyone’s must-see list. Many are unaware of this charming district. 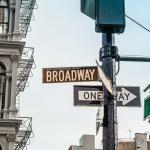 When people usually hear of Tribeca, what often comes to mind is the “Tribeca Film Festival.” In this insider guide, we’ll help you recommend certain places that you should visit. There are a lot of things to do in Tribeca and we’re here to guide you in the right direction. The best way to get to Tribeca is by using the subway. There are numerous subway stations in the district so getting to Tribeca is pretty easy. You can take the 1 train to Canal Street, Franklin Street, or Chambers Street. You can also take the A, C, and E lines up to Canal Street. Another option is taking the 6 train to Canal Street. There are a lot of things to do in Tribeca. We realize that some people don’t have a lot of time to see the whole neighborhood. With that being said, we have compiled our top 5 things to do in Tribeca so you know exactly where to go. Later on in the guide, we’ll let you know of other places and attractions that you can check out. 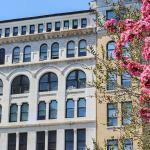 Here are some more things that you can explore in Tribeca if you have more time. First off, we’ll start with food and drinks. 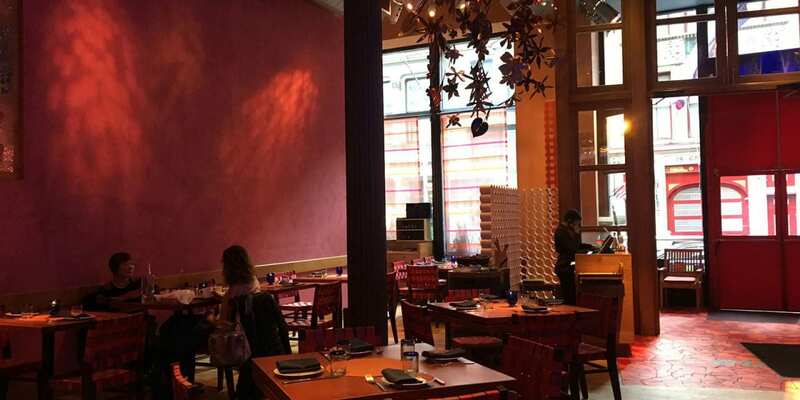 Here are a few articles we’ve written about that are located in Tribeca. Looking at the old industrial buildings and the cobblestone streets, it is hard to believe that this is one of the most popular neighborhoods for New York families. It’s also one of the most expensive neighborhoods in the city as well. In the past, it was mainly a home to the textile industry. It’s very similar to SoHo. Once the industry started to retreat in the 1970s, artists and creatives started to flock to Tribeca. Over the years, Tribeca has become a hotspot among New York’s wealthy and celebrities. During warm weather days, Tribeca is flocking with locals and activities. 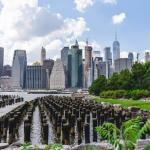 One of the things to do in Tribeca is to go check out Pier 25. It’s great for children since there is a new playground and is hooked up with play equipment. There’s also an 18-hole miniature golf course as well. This part of Tribeca can get quite busy over the summer. One of the New York’s popular grocery store is Whole Foods Supermarket (270 Greenwich Street). Whole Foods focuses on fresh, high-quality product. There’s various organic products as well. It can get quite expensive, but that’s just how it is in NYC. In the same building you will find the Bed, Bath & Beyond Store which is a home improvement store. It’s a popular widespread chain in the US, just like Whole Foods. 58 Waren Street is home to probably the most unusual bookstore in Manhattan. The Mysterious Bookshop mainly sells crime books, thriller and horror stories. Most of the product their is about murders, blood and their investigations. It’s different, special and really worthwhile. Boutiques and many other smaller shops are typical for Tribeca. H&M, Zara and other retail chains are not really popular here. It’s what makes Tribeca exclusive. Our tip – keep your eyes open during your stroll. You will always find sweet, creative businesses and Tribeca is full of them. One of things to do in Tribeca is to check out the art and museum scenes the neighborhood has to offer. The Tribeca Art Factory is an art gallery and combines art and events. It’s a great way to mingle and network with other professionals and creatives. Tribeca Art Factory is usually holds events on certain Fridays so make sure you check out their website for more information. This museum was mentioned earlier in our Top 5 Things To Do in Tribeca. MmuseumM is uniquely curated to tell the story of modern society by just using objects. It’s very interesting and we think it’s a creative perspective on how to see the world. Visit their website here for more information. This is for the kids. This museum introduces children and their families to art. They are able to create art with current working artists. The museum was founded in 1988. For more information please visit their website. It’s one of the most expensive neighborhoods in all of Manhattan. Therefore, you’ll often find celebrities residing here or own property in this area. Hollywood actor, Robert De Niro even founded one of the most popular restaurants in Manhattan, Tribeca Grill. The area has a lot of history as well. Just take in the the old industrial buildings and the cobblestone streets. It’s a very rustic looking neighborhood and sometimes it is hard to believe that this is one of the most popular neighborhoods for New York families. Tribeca is in a prime location. It’s right next to some of the most popular neighborhoods and definitely worth a visit. Read about each the neighborhoods right next to Tribeca. 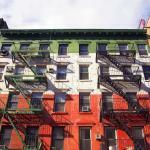 If you enjoyed Tribeca, then here are neighborhoods that have a similar feel. We think that you will be delighted by the following areas below.